ST PALAIS SUR MER. Detached house located 800m from Platin beach and 300m from shops. With: Large living room opening out to the fenced garden and terrace (TV). Open plan kitchen corner (microwave, fridge with freezer compartment, dishwasher). Second kitchen opening out to the terrace with a barbecue (gas cooker, oven, w.machine). 2 double bedrooms with beds of 140. Twin bedroom with bunkbeds and single bed of 90. Shower room with WC. Additional space with second WC and shower. GARDEN FURNITURE - BBQ - OFF ROAD PARKING - FENCED GARDEN - SLEEPS 6. Two minutes walk down the Concié Beach. Small cove where at low tide you can sit on a small sandbar to admire the squares. Or join the beach of Platin about 800m fancy a plate of seafood? 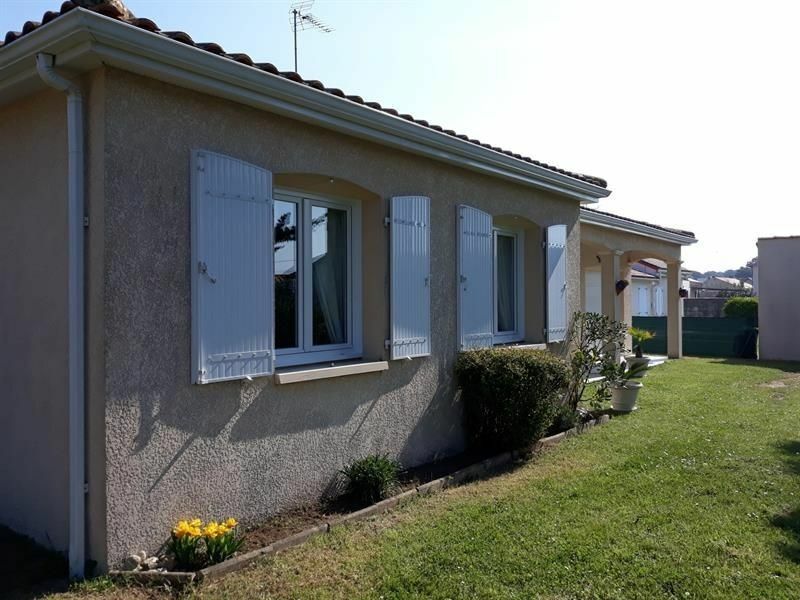 Discover "Les Viviers Charentais", just over 200 meters from the house. With their 20 meters of display, you will be spoiled for choice: whelks, langoustines, crabs, prawns, oysters Marennes Oléron, mussels of bouchots ... not to mention their famous seafood paella cooked every day ! Inescapable place! They are open 7 days a week from April to September as well as for All Saints holidays. The tip of the Grande Côte is a tourist site, accessible from the city center by a wide avenue lined with a bike path. You will find restaurants, souvenir shops, bars ... There have been various parking areas. Stage of the "Vélodyssée", European route linking Norway to Portugal. The Grande Côte is divided into four sectors: the beaches of the Grande Côte, Combots, Lède and Pins de Cordouan. The beach of the Grande Côte stretches from the esplanade for 4 kilometers long, the largest sandy beach of Saint-Palais-sur-Mer. It is on this first sector that bathing is supervised in summer, with its first aid station and toilets. Located after the bathing area, an area is reserved for the sailing tanks during the summer (from June 15 to September 15). Off season, practice is allowed on the entire beach. You can also practice water activities such as surfing, kayaking or kite flying outside the supervised areas.